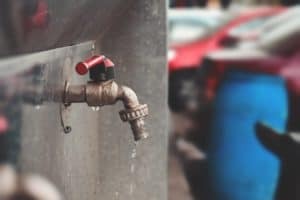 Winter is here and when temperatures are below freezing, you run the risk of incurring water damage in Philadelphia and beyond through a dreaded burst pipe. Not only can a burst pipe cause water damage, it can create mold issues and loss of possessions as well. However, there are some steps you can take to avoid suffering a disaster this season. Firstly, why do pipes burst in the winter? Simply put, pipes are likely to burst when temperatures are cold enough to create ice within the pipe which, in turn, causes expansion and additional force on the pipe. But, pipes don’t actually burst where the ice has formed, contrary to popular thought. Pipes tend to burst further downstream when the pressure from the ice blockage has accumulated. What can you do to avoid water damage in Philadelphia from a frozen and burst pipe? Inspect and insulate. Making sure your pipes stay warm enough not to freeze might seem simple, but it isn’t always that straightforward. Firstly, inspect your pipes for weakness or damage then make a plan to protect them. Sometimes you’re left with pipes that aren’t in ideal locations and are susceptible to the elements. Having your plumber reroute the system isn’t an immediate way to address the issue, so instead you’ll need to insulate. Pipes in precarious places can be wrapped with insulation to slow the transfer of heat and protect from the cold. Keep it flowing. Keeping a small flow of water running through your pipes when the temperatures drop can keep them from bursting. Allowing faucets to run won’t actually prevent freezing in the pipes, but will reduce the risk of a burst due to increased pressure if ice does form. Only pipes that are vulnerable to freezing (those in unprotected spaces or without insulation) should be left to run and at a very slow drip because you want to save as much water as possible. Make a plan for travel. Lots of people lower their heat during times when they won’t be home to save money on energy. However, be careful how low you put the temperature when you’re traveling. Keeping pipes warm enough so that they don’t freeze is crucial. No one wants to come home to water damage in Philadelphia. One easy way to keep pipes warmer, even if you lower the thermostat, is leaving cabinets where lines are run open to allow the heated air from your home in. Even if you take precautions this winter, disaster can still happen, and you might end up with a burst pipe and water damage in Philadelphia. If you do, we’re here to help. With years of experience, we’ll work with you to get your home and your pipes back to pre-loss condition as quickly as possible. Contact us.